Trawling more than sixty years of motorsport history, That’ll be the Day: 365 F1 Stories presents a unique look at a diverse collection of moments that epitomise racing today. From the notable to the obscure, enjoy the events that shaped more than six decades of racing with this two-part ebook series available on the iBookstore. 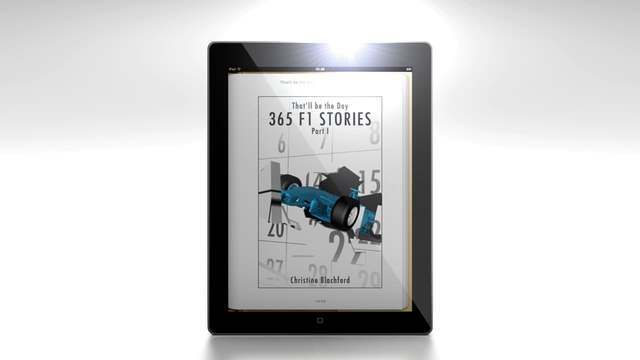 Get your free sample of 365 F1 Stories for iPad, iPhone and iPod Touch now. Just when you thought we couldn't produce a shorter podcast than F1 news in 60 seconds, we've dropped the bar yet further. This video will hopefully be the first in a long line of promotional and/or informational clips for people with very short attention spans. We have fresh ideas, a new set of tools and a whole bunch of fantastic content in the pipeline. Watch this space, where short is sweet.